AKSA Trade provides Porsche spare parts for all range of Porsche (356 , 718 , 911 , 911  , 911  , 911  , 914 , 918 , 924 , 928 , 944 , 964 , 968 , 993 , Boxster , Carrera GT , Cayenne , Cayman , Macan , Panamera ). Porsche parts, spares and accessories - next day Dubai delivery only in AKSA Trade. 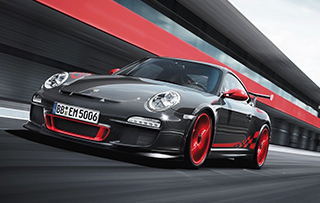 Input the part number in the search field and get prices for all possible Porsche spare parts. If you don't have part numbers, just send us an inquiry, you will get a reply in one hour. AKSA Trade is an independent Porsche spare parts dealer in Dubai. We supply new, used, original and aftermarket Porsche spare parts and accessories. AKSA Trade offers best prices for Porsche spare parts in the region. When you buy a Porsche spare part from AKSA Trade you'll get an honest, friendly and fast service. Porsche spare parts normally available on stock and might be delivered in 24 hours. Need advice on which Porsche spare part to buy? We are ready to help you, just contact us and we will help you to choose the best option. We can advise on alternative Porsche spare parts. Do you know Porsche spare part number? - Just search it and get the price. You don't know the part number - use inquiry page. Please register to use the website in full.